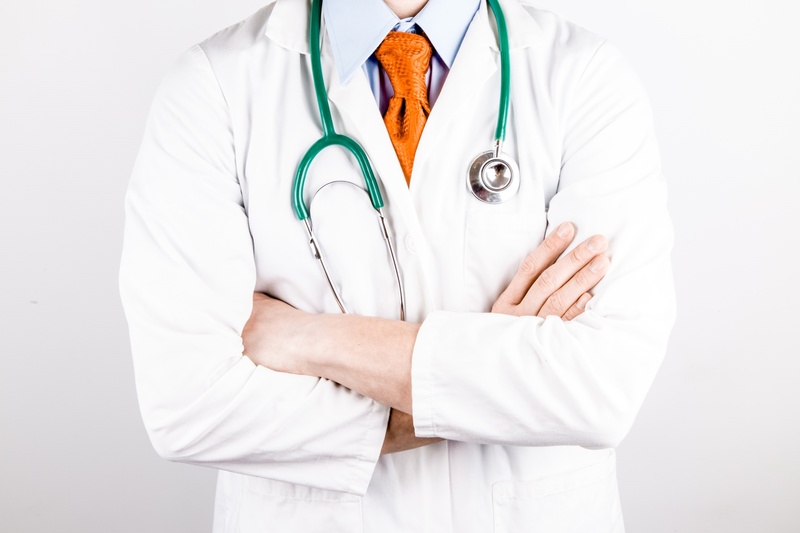 Home / Your Cancer Doctor: A White Coat Bully? Having cancer is scary enough. Its worse when your cancer doctor – the esteemed oncologist that you want to trust – treats you like an imbecile for wanting to know about good nutrition, natural medicine and ways to fight cancer. I have heard a few of these comments from my own doctor … what about you? This article from Ty Bolinger drives it home. We can all agree that proper communication skills are essential for the best cancer care. While some patients appreciate a direct approach, others need a bit of hand-holding. Some cancer doctors have good “bedside” manners, displaying genuine empathy for their patients. Others can be considered bullies in white coats. But it all comes down to this… what a cancer doctor says or doesn’t say can make all the difference in your outcome. Cancer treatment requires a partnership between doctor and patient. A patient needs to be comfortable and confident that the chosen treatment is the best option for them. As a cancer strategist I hear of all kinds of terrible comments made by oncologists to their patients. Even those patients who intend to comply with the recommendations of their oncologist hear words that should never be spoken. Often times I am sure that these comments are not meant to be callous, but are just spoken in ignorance. Here are 12 things you should never hear from your cancer doctor. Be on the lookout for doctors who say any of these. It could be a sign that they need an attitude adjustment… and that you need a new doctor. #1. I’m afraid I have bad news. If you didn’t already suspect you had a problem to deal with, you would not be sitting in the doctor’s office. This statement brings on fear. Doctors do this so that you will comply with their orders. Skip the drama doc. #2. You have three months to live. It is rarely helpful to have a doctor pretend he has a crystal ball. While from experience they might have an idea how long the average patient lives given a particular diagnosis, we are all individuals and YOU ARE NOT AVERAGE. Despite what the doctor says, there is always hope. There is always a way to extend life or even reverse the dis-ease. Just like “bad news,” a prognosis brings on fear and the need to comply ? albeit in a different way. Studies show that people are told they have three months to live dutifully fulfill that directive from their doctor. Even worse, a poor prognosis takes away the will to live and ability to think outside the box and to change the direction of the dis-ease. There are innumerable remissions of advanced and late stage cancers. There are countless stories of patients who were offered little chance of survival or a cure, yet who are here years later to tell their tale. A quick perusal through the articles on The Truth About Cancer website will bring you valuable information on surviving the odds. Hope gives us the opportunity to do what we must do to heal from cancer. Even in the face of the most advanced of cancers, there is usually room for some words of encouragement and support. This can make all the difference in the patient’s attitude towards their disease and their treatment. While there is hope, there is life. #3. If you don’t do “X” you will die. For some bizarre reason, cancer doctors think they know everything. Yes, I know that they went to medical school, but there was competent and effective medicine well before Big Pharma taught these doctors. Know that there are many, many options when it comes to managing cancer ? don’t let your doctor bully you. In fact, you might point out to your doctor that you are more likely to die if you follow one of the standard protocols instead of opting for a less toxic treatment plan. #4. You have no choice. Sorry, doctor, yes, you do. They might also say you have no other options. While it is always a good idea to get a second, third, or even fourth opinion, be sure to get at least one from an alternative or holistic doctor. Otherwise, you are still limiting your options and overlooking key lifelines to survival. #5. Calm Down. Given the situation at hand, it is understandable that a patient might be upset. Telling a patient they need to calm down or speaking to him or her in a dominant tone of voice clearly shows a lack of empathy and offers no chance of a partnership. #6. This treatment will not harm you. Be sure you are clear on what “harm” means to your cancer doctor. Chemotherapy, radiation, hormone therapies, and even surgery harm the body and increase your risk of more cancer. Be aware of the life-threatening and quality of life-threatening side effects, and do not believe that they are always “worth it.” Studies and case studies have not provided evidence of efficacy. #7. Here are the statistics. You are a person, not a statistic. You have your own unique set of circumstances; your own history. Statistics are helpful for doctors who use a checklist to make treatment recommendations. As an empowered person who is committed to make lifestyle changes that can affect your health and outcome, statistics do not apply. Further, statistics are typically skewed in favor of treatment recommendations. For example, a patient might hear that by taking hormone therapy they will reduce their risk of recurrence by almost 50%. Sounds great, right? However in actuality, it may be the case that the risk without the therapy was only 2% and with the drugs 1%. That 50% reduction doesn’t really mean much, does it? Or in the case of chemotherapy, a patient might hear that the therapy will decrease risk by 30%. But if the risk of dying was only 10% to begin with, the survival benefit on an absolute basis is only 3%. Considering the downsides of these therapies, one must extrapolate the true benefit and compare this to the possible harm they deliver. #8. This treatment will cure you. This is a bold statement for sure. If your doctor is not addressing the cause of your cancer, the treatment is not a cure. Cancer is complicated, but most often the root cause can be determined and resolved. Only then can any treatment be considered “curative.” I have never met anyone who was Tamoxifen- or chemotherapy-deficient, for example, so there is no reason to believe that taking either will resolve the reason for your cancer. #9. You are wasting your time with nutritional supplements. While there is no one magic bullet, no one cure for cancer, lifestyle factors such as taking supplements can make a difference. There is too much evidence on how nutritional factors influence genetic expression for anyone to ignore the power of food and supplements. What we eat makes a powerful difference. A mostly plant based, whole foods diet and taking nutritional supplements can have a substantial impact. That said, in these days of nutrient-depleted soil conditions and over-farming, food just does not have the nutrient content of years past. Plus, busy lives do not always allow for “perfect” meals. Hence, supplements are a necessary part of an anticancer protocol. #10. Cancer Just Happens: It’s a Matter of bad luck. This is so ridiculous I just had to include it. Cancer develops for a reason. It is a signal, a cry for help that tells us something or many things are not right within the body. Overexposure to toxins, the genetic inability to manage toxins, and the entire issue of unresolved emotional traumas are some of the biggest triggers of cancer. Although nutritional deficiencies are not likely the cause of one’s cancer, they do allow it to develop and grow. Don’t accept that blanket statement from your doctor. Whether they are saying this out of ignorance or for your emotional protection, it is not helpful when it comes to your healing and survival. #11. Alternative doctors are quacks. What mainstream cancer doctors consider to be “alternative” was once medicine. Sadly, modern medicine focuses on drug therapies and fails to acknowledge the reasons that cancer has become rampant. We are not sick because we have cancer… we have cancer because we are sick. If we do not correct what created the dis-ease, we cannot cure it. Alternative doctors consider the whole person. They believe that making a person well is just as important or even more important than targeting the symptoms of cancer (such as a tumor). While every alternative treatment works for someone, not every treatment works for everyone. Part of this is, again, because we all have our own unique circumstances for having cancer. Be sure you work with a qualified practitioner and coach to optimize the healing of your body and your cancer. #12. Estrogen causes breast cancer. This is simply not accurate. Estrogen has 400 essential functions in a woman’s body. While estrogen dominance and hormonal imbalance can allow breast cancer to develop and grow, estrogen does not cause breast cancer. More precisely, estrogen can turn on cancer genes, but only if not opposed by progesterone. So blaming estrogen for cancer is a bit like saying that matches cause fires. You have to light the match, right? Progesterone acts as an antagonist to estrogen. While estrogen is associated with breast and other cancers, progesterone has anti-cancer effects. When the opposing force of progesterone is increased, the toxic effect of estrogen is decreased. So while estrogen can turn on cancer genes, progesterone turns on genes that can prevent breast cancer from occurring. Instead of blocking or eliminating estrogen, you may want to concentrate on increasing progesterone so the fire is not ignited by the match. A note on receptors: when activated by progesterone, the progesterone receptors attach themselves to the estrogen receptors. Once this happens, the estrogen receptors stop turning on genes that promote the growth of the cancer cells. Instead, they turn on genes that promote the death of cancer cells (known as apoptosis) and the growth of healthy, normal cells. Hormone receptors are dependent on iodine, which increases the sensitivity of the receptor to the hormone it was designed. So rather than block your receptors, it would be prudent to ensure you have sufficient iodine in your diet so that the receptors can work most efficiently. The post 12 Things a Cancer Doctor Should Never Say appeared first on The Truth About Cancer.